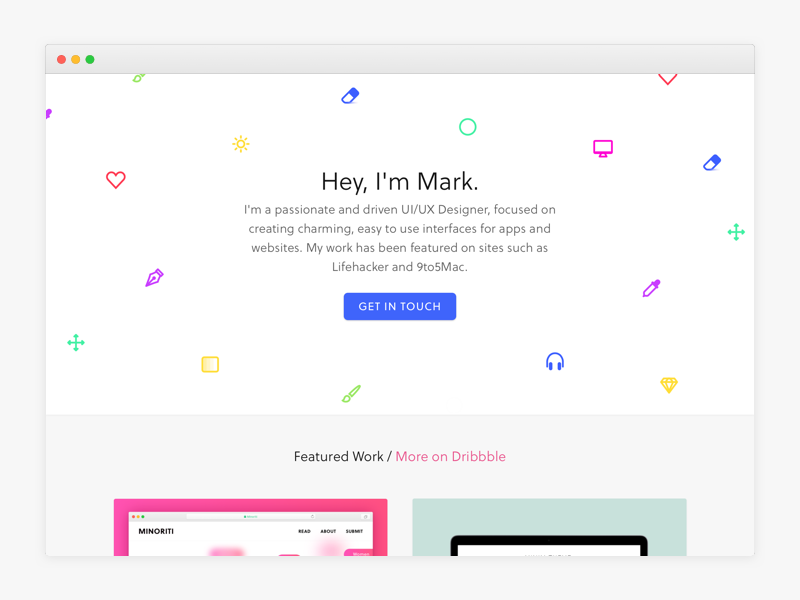 Home → Inspiration → New Portfolio! Props to @Tim Roussilhe for his beautiful front-end work and making the motion ideas we had in mind, real interactions! Make sure to also see @seth_eckert logo and message icon animations. They’re sick! Just updated my portfolio, check it out here.